I need a brochure that includes both the Off-Leash K9 Training information as well as the Dog Guard info (both attached) since I will be offering both of these services. 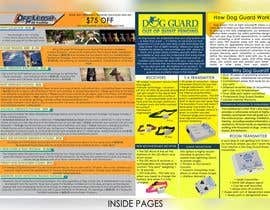 Since the Dog Guard brochure is packed with information, try dialing down on that so it takes up the same amount as Off-Leash K9 Training does. 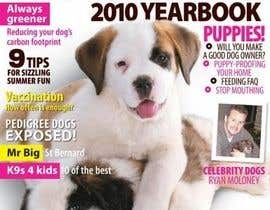 One thing we want to add in is that if they book Off-Leash obedience training (any package), they will get $75 dollars off fencing when or if they purchase that as well. Try to word that as best as possible. I have added photos that I absolutely want used into this file (they have either OLK9 or Dog Guard as the name so you know which is for which), but you can take any else you need from our Facebook (posted the link below) too. This brochure should reflect information about Long Island, NY. Therefore it would be Off-Leash K9 Training, Long Island, and should have the name Alex Rayner as well as the email alex@offleashk9training.com. 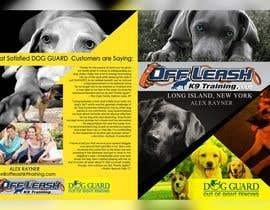 The colors for Off-Leash are blue and orange (black or white text), while the colors for Dog Guard are yellow and blue (again white or black text). Overall, I want this brochure to be very simple and easy/quick to read so people don't have to spend a lot of time looking through it to understand it. I would need this file able to be edited as well as printed because I have several different locations. Just to clarify, you would like us to combine the two brochures given into one clean design that incorporates the new images and old information?